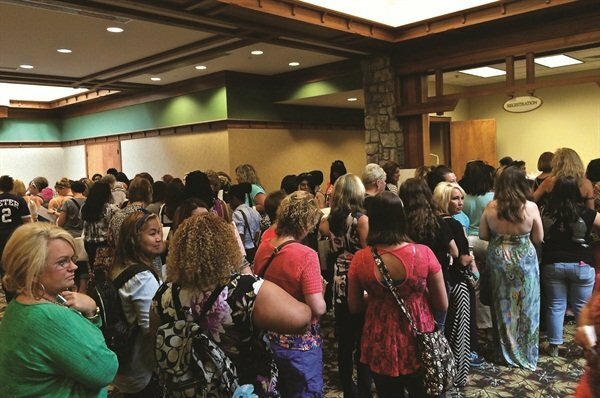 Nothing beats the feeling of excitement and creativity that wells up when nail techs gather to network and better their skills. But this doesn’t just happen by itself. It’s up to the organizer of the networking event to work long and hard behind the scenes to make sure that everything goes off without a hitch. Here are some tips to make sure your event is an unqualified success. As in real estate, location is key when choosing where to hold your networking event. Having an airport and interstates in close proximity is a must, but you should also choose a location that has something else going for it. 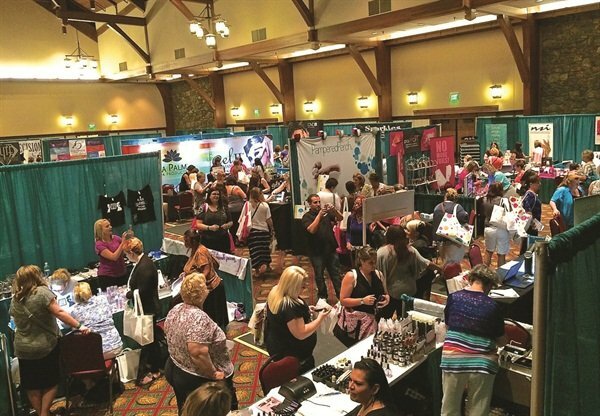 You’ll stand a better chance of having more attendees if you choose a fun destination where techs can bring their families for a “nail-cation” too. 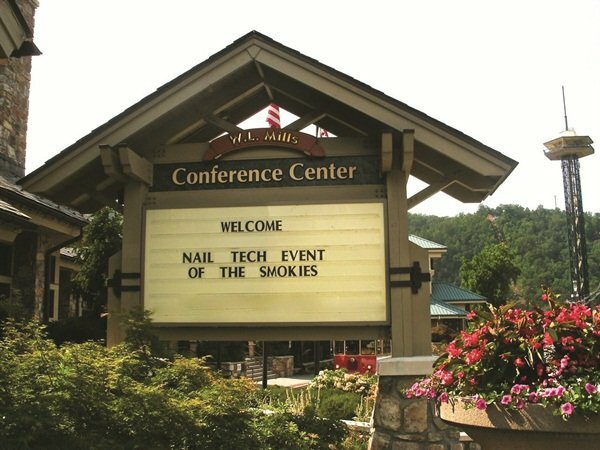 I chose the Great Smoky Mountains for my event —the Nail Tech Event of the Smokies (www.nailtechevent.com) — since it’s the country’s most visited national park and it’s within driving distance for 50% of the U.S. population east of the Mississippi. The heart of the Smokies is Gatlinburg, Tenn., a resort town offering countless indoor and outdoor adventures. Sure, it would’ve been easier for me to hold it in my own hometown, but Gatlinburg is a well-known destination for nearby states. It was an untapped area of our country as far as nail education goes, which is another reason I chose it. Rookie Mistake #1: Choosing a venue without physically standing in it. It’s essential that you physically tour the room before you rent it, just to be certain it’ll hold the number of techs and educators you’re expecting. Factor in the number of demo tables and chairs, plus the space each booth setup will occupy. Know the actual number of tables the venue has to offer so you don’t promise more than you can supply to the nail companies. Make certain there are enough wall outlets to accommodate each nail company’s table lamps and UV/LED lamps, plus enough power to accommodate all of them being used at once. Choose a date that doesn’t conflict with large tradeshows or existing networking events. This is the tricky part, because the venue you choose also needs to have open dates for the ballroom you’ll need. It would be unwise to book the same weekend as a big show that all the vendors regularly attend. And it would certainly offend another event coordinator to book something on her already established weekend. Winter dates have a chance of flights being canceled due to bad weather, while summer dates may coincide with holidays or other events. Research your dates well before you sign the venue contract. At the very least you’ll have to have a credit card to cover the cost of reserving the venue. Once you sign the contract, you are legally obligated to pay the contracted amount. Ballroom payments normally require an initial deposit with the balance due 30 days before your event date. The hotel will not hold the ballroom past that date without being paid in full, so after promoting your venue for months to techs, educators, and nail companies, you’d better be able to pay for it. Rookie Mistake #2: Counting on attendee sales to cover the ballroom cost. Ballrooms can cost $500+ a day and it’s dangerous to count on attendee ticket sales to cover this cost because you may not have all the money at the precise time you need it. This actually happened a few years ago when a tech’s event imploded mere weeks prior to the scheduled date due to non-payment of the ballroom. Can you imagine how embarrassing it would be to refund every nail tech’s payment, ship back all the door prizes and nail goodies at your own expense, explain yourself to the nail companies, and make public apologies via social media? Facebook is tops when it comes to interacting with other nail techs. In addition to creating a Facebook business page (separate from your personal page), be sure to create a Facebook “events” page, which you can use to send invitations to all your friends. Ask them to help spread the word to all of their friends, too. Post announcements daily, along with accompanying photos of nail art or products from the attending companies. Tag people in your posts and photos so it will show up on their Facebook page. Remember to use other social media such as Twitter, Google+, Instagram, Pinterest, and LinkedIn to routinely promote your event. Beautytech.com’s nail tech forum is still a great site to connect with other techs, as is the chat room on Sunday nights at nailtalkradio.com. Set aside a few hours every day and several hours each weekend to work on your event. The more time you put into it, the better your chances are that it will be a success. Most of your work will be done online, so having a good Internet connection and a reliable computer is vital. You’ll need to secure nail companies and educators, plus promote your event to nail techs and beauty schools. A great place to find vendors is NAILS Big Book, which has contact information for most nail companies. Create a “press release” (basically a one-page flier) listing the name of your event, date, times, cost, location, venue, maximum number of attendees, your phone number, your physical address and email address, deadline to register, and a short summary of events. Email this to all potential attendees, educators, and nail companies. Remember that magazines work three to four months ahead, so send them your press release well in advance for their show/class listings. Rookie Mistake #3: Underestimating the amount of time it takes. Be prepared to give up time spent with family and friends and other social enjoyments when you commit to holding a networking event. Forget about having free time to read or watch TV. You’ll be too busy promoting and planning your event, because if you aren’t, then you’ll have no one to blame but yourself if no one shows up or it doesn’t meet everyone’s expectations. It’s a double-edged sword, because if it’s a big success, then people will expect you to hold it every year for the rest of your life. So get ready for the long-term commitment. You will need help stuffing the many goodie bags (one for each attending tech) on the day prior to the event, and on event day you’ll need help setting up, checking in attendees, awarding door prizes, serving lunch (if you provide one), checking attendees out, and distributing the goodie bags. You can’t do this alone. Arrive early on event day to get things ready. Bring extra pens, paper, tape, sign-in sheets (with names of all the prepaid attendees), a fish bowl for door prize drawings, camera, clipboard, extension cords, disposable tablecloths, a list of the educators and their companies, and a list of nail companies that donated products. And remember to place the goodie bags where the public can’t access them. You will have to emcee the event and direct the flow of activities, so be prepared to do some public speaking. Rookie Mistake #4: Using unreliable volunteers. Make sure you choose people you’ve known for a long time and who have proven themselves reliable, because everyone will volunteer to help you, but when the event time comes, several will go MIA because flaky people tend to flake out. When your event is over, be sure to follow up by thanking the participating nail companies and sending photos of the door prize winners (along with their names and email addresses) to the companies that generously donated door prizes and nail goodies. Follow up by sending a recap of your event to NAILS and be sure to include clear, high-resolution photos for publication. Jill Wright is the owner of Jill’s — A Place for Nails in Bowling Green, Ky. She’s also the organizer of the Nail Tech Event of the Smokies (www.nailtechevent.com), now in its 8th year.